Driver Needed with Chauffeur License to haul oilfield equipment. Must live around New Iberia area Call 337-519-8088. INDEPENDENT TRUCKERS NEEDED: To pull cement tankers for Silo and Spread work. Must have blowers on trucks. Competitive rates. 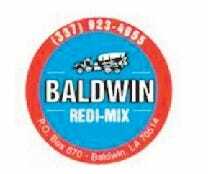 Baldwin Redi-Mix 337-578-9732 ask for Jeb. LOUISIANA DRYWALL ROOFING & SPECIALTIES is seeking a Full-Time CDL DRIVER. We offer competitive pay and excellent benefits. Required qualifications: CDL LICENSE. Safe driving record and can pass a D.O.T. Physical, Drug Screen and Physical Evaluation. 1-3 years truck driving experience. Ability to operate a forklift. Capable of lifting a minimum of 100 lbs. and other manual duties. Ability to work half day every other Saturday. Good customer service skills. Dependable and personable. Please apply in person at 303 Galbert Road, Lafayette, LA 70506 Monday through Friday between 9:00 a.m. and 4:00 p.m.